* Hardware assembly manual for the Manoi PF01 Kit is in Japanese, but has detailed step-by-step diagrams. 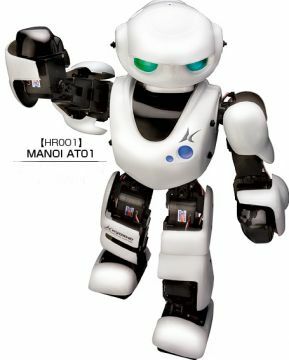 * Control software Manoi PF01 Robot is now available in English! 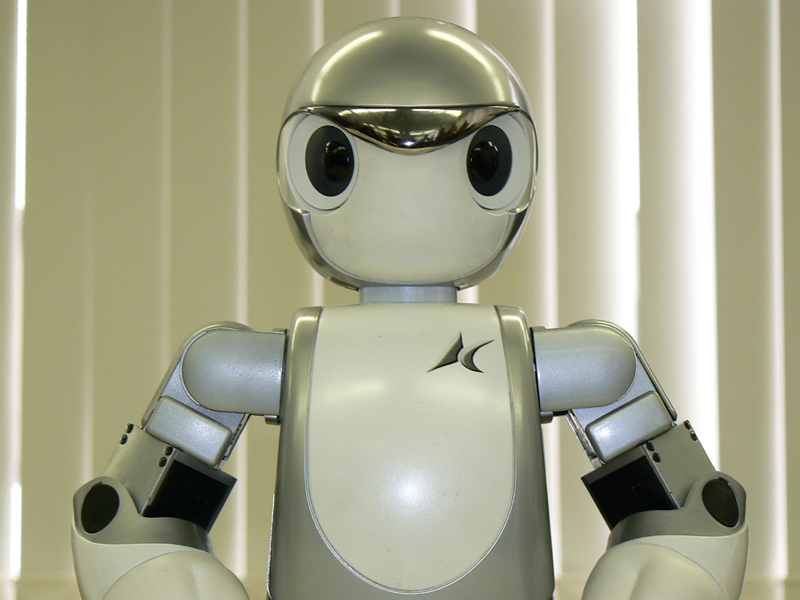 Meet the new and improved Manoi PF01 Humanoid Robot! 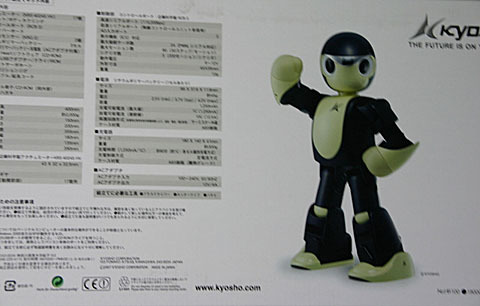 Kyosho has done it again, bringing you another stylish and powerful Manoi humanoid robot! The Manoi PF01 has everything that made the AT01 great, plus some noteworthy improvements. Nickel-Metal-Hydride batteries have been abandoned in favor of light-weight, high-capacity Lithium-Polymer cells. These new batteries have over 4 times the capacity of those included with the AT01, so you can have 4 times more fun before recharging! The Manoi PF01 Robot's polycarbonate shell pieces cover the servos and skeleton almost completely, giving this humanoid a sleek, streamlined appearance. The inside of the head of the Manoi PF01 provides plenty of space for mounting additional sensors, even small cameras! Rubber pieces integrated into the front and back of the head protect the PF01 in case it takes a fall. **Note: this kit no longer includes gyro sensors. Sensors must be purchased seperately. 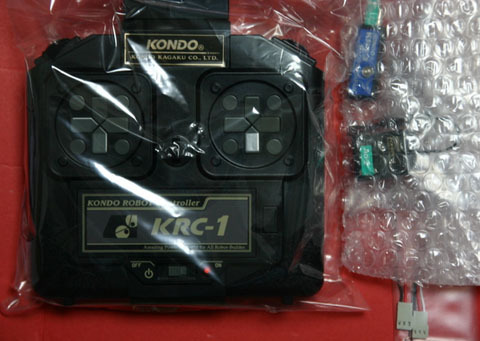 Once again, Kyosho has chosen the tried-and-true RCB-3 robot controller board. With 24 servo channels (that's 7 extra! 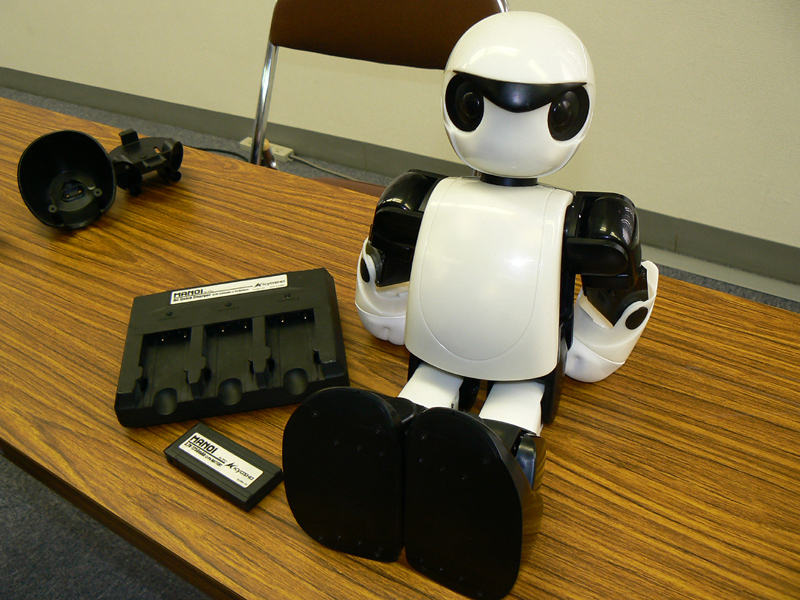 ), there is room to expand this robot's abilities. If you like to add grippers and additional degrees of articulation to your robots, you are in luck! The RCB-3 also features two serial inputs (for communicating with your computer or remote controller), and three analog inputs (for your gyro sensors and one additional sensor of your choice). This controller is fully compatible with the KRC-1/KRR-1 Transmitter/Receiver set. Your robot won't smash its enemies or swagger across the dance floor without the right servos! The KRS-4024 from Kondo is a high-quality, high-torque, high-speed, high-voltage servo. 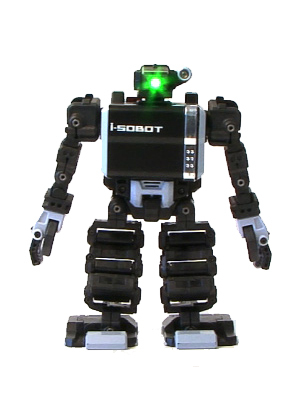 This is an incredible servo, and the Manoi PF01 Humanoid Robot Kit has 17 of them! 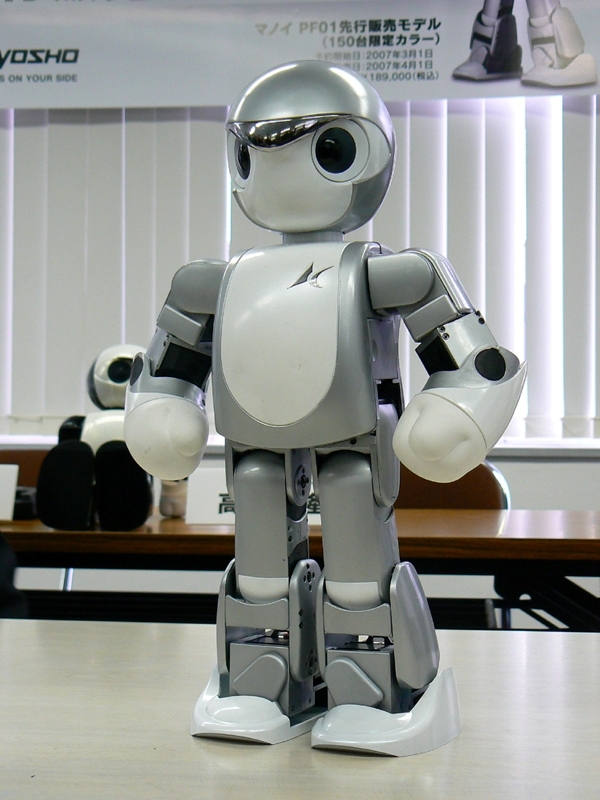 The Manoi PF01 humanoid robot kit was designed with sensors in mind! The body cavity features two brackets, perfect for mounting two accelerometers or gyroscopic sensors. This picture shows two KRG-3 single-axis gyros (not included) mounted perpendicularly, providing dual-axis tilt sensing. Your robot won't go anywhere without batteries! 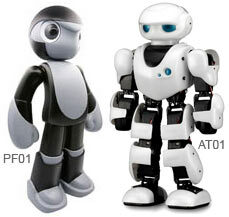 Manoi PF01 Humanoid Kit sports not one, not two, but three Lithium-Polymer cells! This high-tech power system fits snugly into PF01's body cavity and delivers 11.1V to your servos. Each battery contains built-in thermal, current, and voltage monitoring circuitry. These features ensure maximum safety and long battery life. You need something to keep those batteries juiced up, right? Well, here you go. If you're buying any of our robot kits, you will save yourself many headaches by picking up a set of these precision Japanese Industrial Standard screwdrivers! Tired of stripping screw heads? Having problems tracking down the right sized screwdriver? This four-screwdriver set is machined to the same precise specifications as the screws, so you always get a perfect fit! Manoi PF01 Under its friendly appearance, resides 17 degrees of freedom equipped with strong actuators and advanced mechanism.This state-of-art robot has been created thanks to the collaboration between Kyosho and Kondo Kagaku.In order to hold up this high energy, Kyosho has developed a powerful lithium polymer battery. 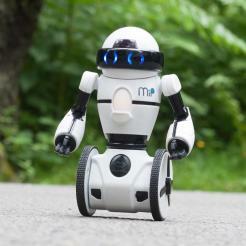 It will enable Manoi to reproduce the movements created with the software. It comes equipped with onboard gyro sensors and accelerometer. Many optional sensors are available in order to enhance Manoi's sensibility. 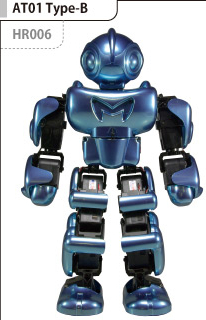 Battery Manoi's birth came along with innovative news.The Lithium polymer battery and its charger has been conceived exclusively for Manoi.One case fit for one battery inside the robots, You can insert up to 3 batteries, and charge them at the same time. It is easy to use for everybody. Moreover since the security is a major concern for Kyosho, all Kyosho Lithium Polymer batteries are recyclable. The advantage of the lithium batteries is they can provide a great power for Hobby Robots. Secret abilities that has not ever been realized. 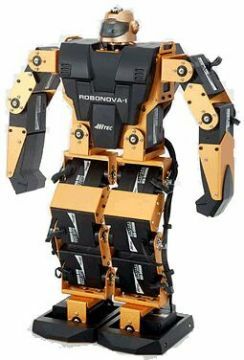 The world leader hobby robot, Kondo Kagaku has collaborated to develop powerful actuators. The newly developed actuator boasts high torque, high speed, and high precision. Smooth movement and actions are now possible. You can realize motion with the software. If you connect and install Manoi to you PC, it will also be able to reproduce continuous actions. 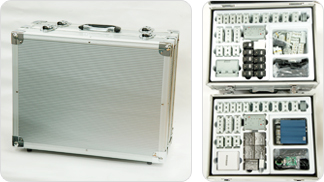 Case for 3 lithium batteries. Kondo Kagaku Controller Board "RCB-3". Parts with high risk of collisions. Soft materials. Wireless transmitter and receiver.Space where multiple sensors can be installed. 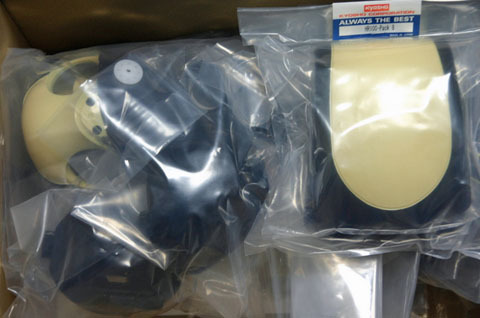 Kondo Kagaku special actuators:(KRS-4024S HV).